As we begin 2019, we are taking a look back at some of the Mid Sussex Times' biggest stories of last year. Read on for the top 10 articles which captured your imaginations in 2018. For the full stories, copy the caption next to each picture and search for it in Google. Heavy rain in May caused flash flooding in Haywards Heath, prompting a response from the emergency services. Residents described the rain as 'shocking'. 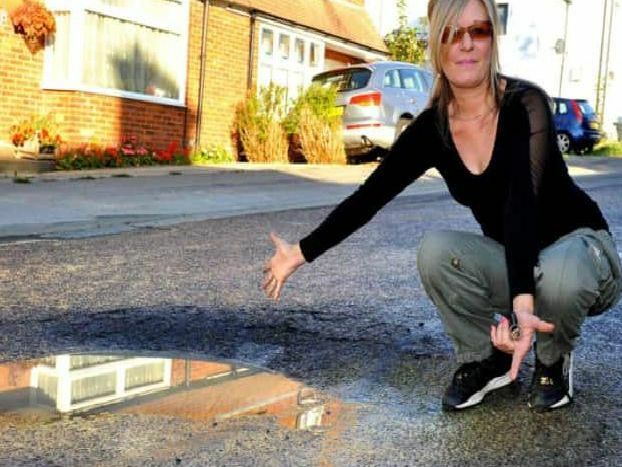 This 'dangerous' pothole in Burgess Hill attracted plenty of attention in October. A furious Burgess Hill woman said she had to swerve her car to avoid hitting it. Marjorie Kinne from Haywards Heath celebrated her 108th birthday in August. She said a good diet, exercise and great friends were the key ingredients in making the milestone. Detailed plans for the Northern Arc site - up to 3,500 new homes in Burgess Hill - were agreed by cabinet members in September.